Not a V-Twin, but still an interesting article from WIRED. 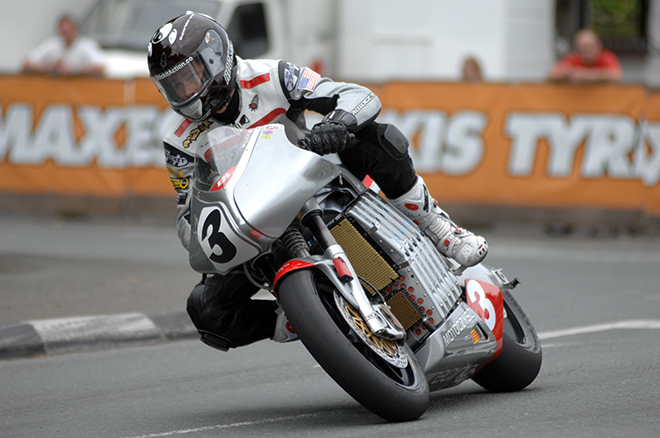 One hundred miles per hour is nothing for the race bikes racing on the Isle of Man during the famed Tourist Trophy races, but it is an elusive target for the electric motorcycles joining the action. Michael Czysz and his crew are closing in on it though. Mark Miller lapped the 37.7-mile course aboard the MotoCzysz at an average of 94.66 mph. That’s the quickest pace yet for an electric motorcycle during the Isle of Man TT, but it’s unofficial because it happened during practice. Still, it makes Miller an early favorite to win Wednesday’s TT Zero electric motorcycle race.